Beautiful single story home right on the Grapevine and Colleyville border. Lots of natural lighting with an open expansive floor plan. Brand new ceramic wood floors with newly upgraded kitchen and bathroom with quartz countertops! Crown molding in all of the living areas and the master bedroom. Large walk in closet in the master bedroom, and a brick fireplace that can be used as gas or wood. In the back yard is a large in-ground pool, with a built in hot tub that can be enjoyed anytime of year!! This home is very close to amazing shopping along 121, and if you hop on Pool Rd and head north you will be at the Southlake town square in no time. 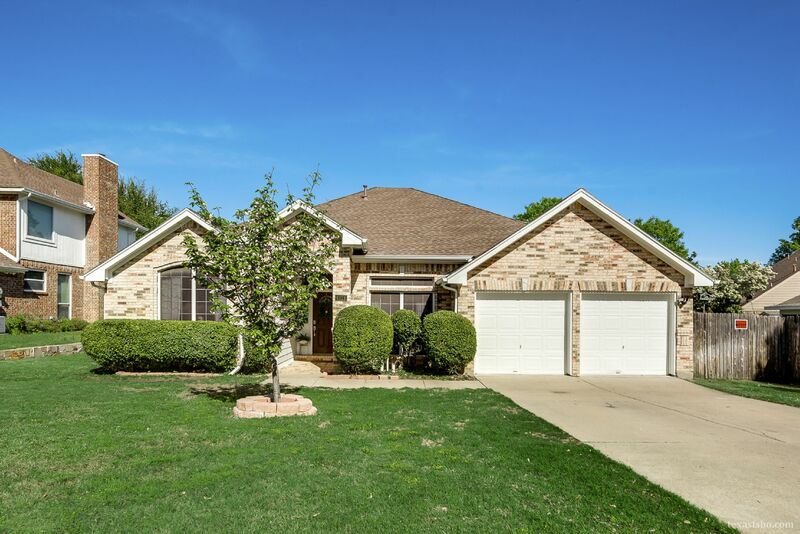 This home is located in the amazing Grapevine-Colleyville school district. Motivated buyer that is willing to Co-op with any buyer agents.